How is this possible to do in TeX? I had a look whether this could be done with TikZ but could not find any comparable examples. I am convinced that in theory it should be possible to prepare a TikZ extension that does things like this rather simply, but at the moment I am looking for an already existing solution to accomplish such tasks. When I get more experienced with making such plots I might consider writing a basic package. Is it possible to make such plots in LaTeX with current packages? If yes, with TikZ? Could you give me an example how to start? If not, what software would you recommend to prepare and include such kind of 3D graphics? Please note that this is not the kind of question you sometimes get here that asks "Please do this for me!" I honestly tried solving this problem but did not get far at all. It would be really great to get an answer, a lot of people in my field would benefit from this. (1) Wertz, James R. (2009). Orbit & Constellation Design & Management. New York: Springer. This is a long answer since there are good tools for spherical geometry scattered all around, so I created a few sections addressing those tools. I suggest to use \tdplotdrawarc . This is explained in the TikZ and PGF Manual. You need to define three angles $\alpha$, $\beta$ and $\gamma$ for the arc, theen the radius, origin, initial and final angle. I include here and example with the angles used. With this example you can build new examples explaining other angle combinations. % rotate circle to make it look better. 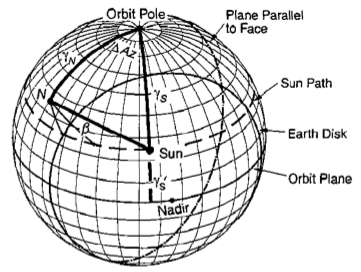 Here is a post which addresses the drawing an equator when the north pole is given. A simple macro to speed up coding draw an equator when north pole is known . Sometimes is better to say away from thinking and trying to do 3D. So I am contradicting here myself with the advise of using tikz-3dplot . Think how to draw a 3D thinking 2D (that is ellipses and arcs). 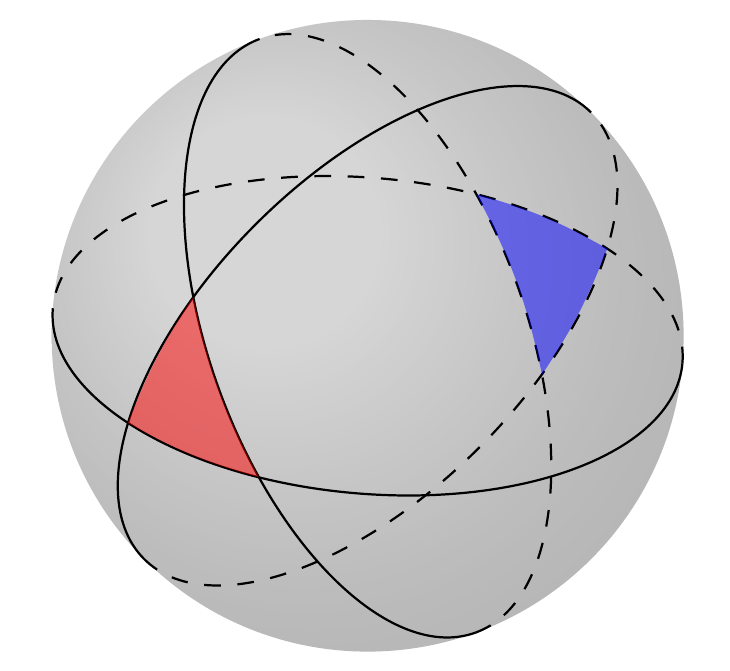 The next example is an improvement over an example shown here Spherical triangles and great circles . The code is based on @Tarass great insight. The example is shown here more to show the capabilities of Tikz and the use of it for other purposes. As I said, it is better to use, in general \tdplotdrawarc . In spherical geometry understanding where coordinates (a point) are and how to draw arcs is a fundamental issue. 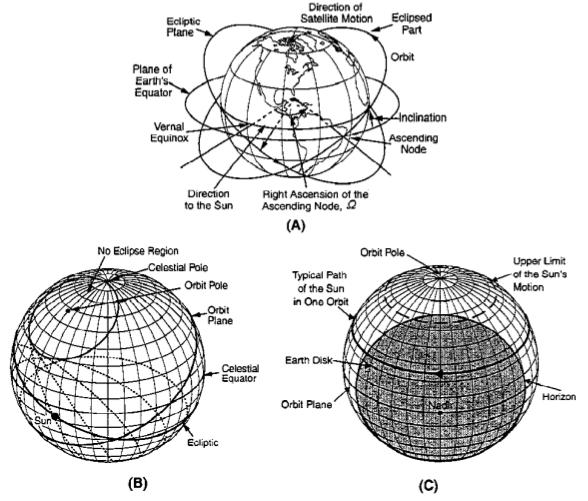 There could be confusion because spherical coordinates for mathematicians and phycisist use different symbols, the following link provides macros for conversion between spherical (azimuth, polar) and cartesian coordinates and addresses conversions in terms of geografic (latidue, altitude) coordinates as well: spherical coordinates in 3d . Finally since TiKz do not seem to have tools to draw arcs given a center and a radius I wrote a macro and posted here . The R package GeoMap will create Spherical project of the earth with the continent maps. I have not used it except to verify it loads and builds a map. If you combine with the package tikzDevice you will get tikz code which could be modified. Be aware that it will be a large file due to the extensive use of points for plotting. Once this is working you should be able to implement with Sweave so that all the code is contained within the LaTeX file. I would consider this just a workaround until a tikz package was built with pure tikz. Not the answer you're looking for? Browse other questions tagged tikz-pgf graphics 3d or ask your own question. 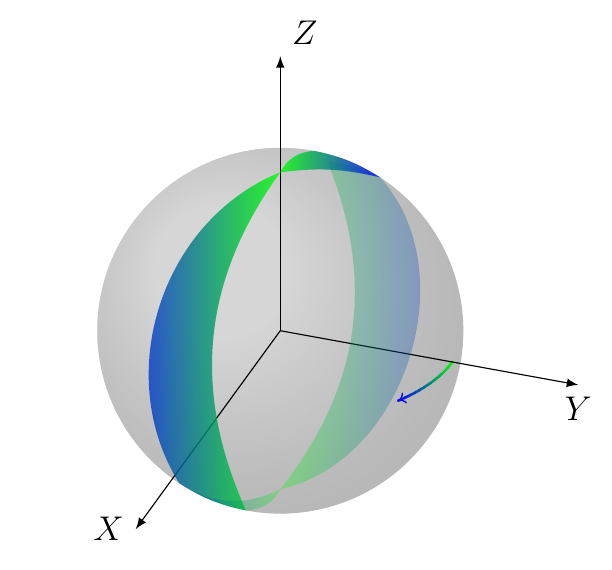 How can I draw an arc from point A -> B on a 3D sphere in TikZ? 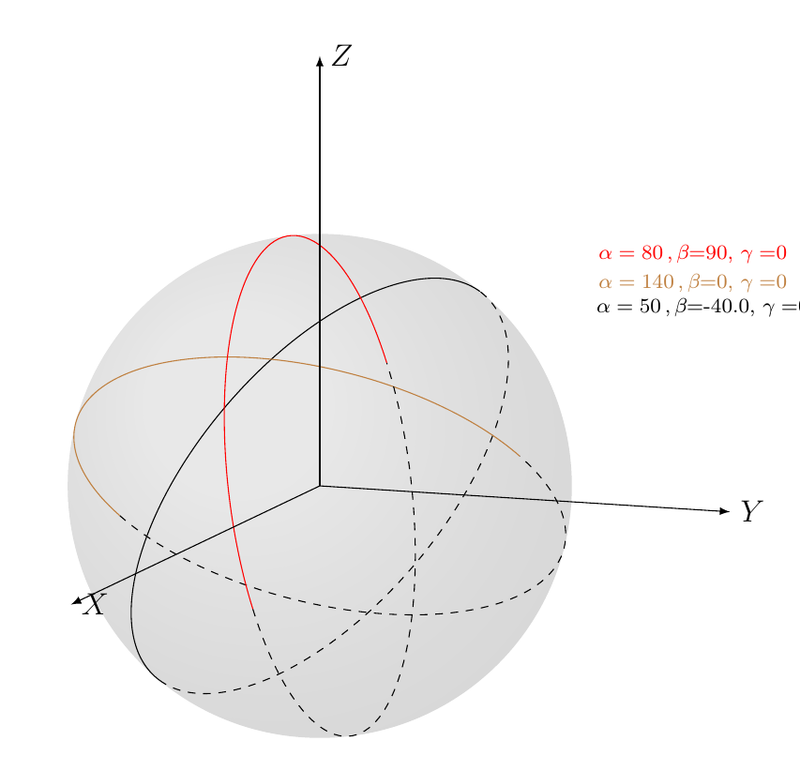 How to draw spherical figures? How to draw 3d vector field on a line? How to draw Timed Hybrid Petri Nets with tex?